Join Bay Area poets for free readings at a Poetry Crawl presented by The Napa Valley Book Festival in partnership with the Napa Valley Writers’ Conference on Saturday, April 13. Admission is free to readings at Napa Bookmine, Rebel Vintners and Studio by Feast it Forward. 3-4 p.m. The Studio by Feast it Forward, 1031 McKinstry St, Napa. Jeremy Benson, the current poet laureate of Napa County, has his hands in dirt. His pants are stained with pomegranate juice, his jacket with paint and mud. He likes knowing the owls are up there, somewhere. An organic farmer at a winery by day and poet all the time, Benson is promoting poetry in Napa Valley. Judy Halebsky is the author of the poetry collections “Tree Line and Sky=Empty,” which won the New Issues Prize. Fellowships from the MacDowell Colony, the Millay Colony, and the Canada Council for the Arts have supported her work. Her poems have been published in APR, Field, Zyzzyva and elsewhere. Originally from Halifax, Nova Scotia, she moved to California to study poetry at Mills College. She is an associate professor at Dominican University of California and teaches in their low-residency MFA program. She lives in Oakland with her nature guide spouse and young daughter. Maya Khosla is poet laureate of Sonoma County. 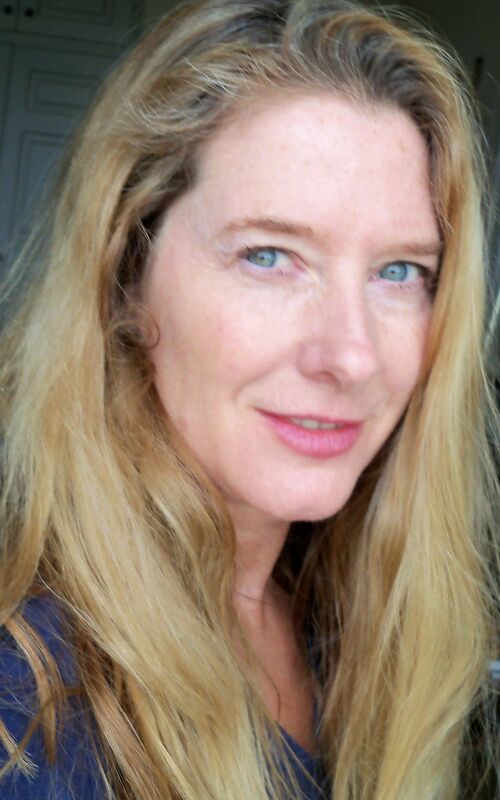 She has written poetry collections “All the Fires of Wind” and “Light” (just out from Sixteen Rivers Press in March 2019), “Keel Bone,” which won the Dorothy Brunsman Poetry Award from Bear Star Press, and “Heart of the Tearing.” Featured in many journals, her poems have been nominated for Pushcart Prizes three times. Creative Sonoma and the Sitting Room Community Library have supported her Legacy Project, a filmed reading series. Rebecca Black’s first book, “Cottonlandia,” won a Juniper Prize from the University of Massachusetts Press. A former Wallace Stegner at Stanford University and National Endowment For the Arts fellow, in 2011 she was a Fulbright visiting professor at the Seamus Heaney Center in Belfast, Northern Ireland. She has been the director of creative writing at Santa Clara University and a member of the MFA faculty at UNC Greensboro. She lives in Albany, California, where she serves as the city’s 2016-2020 poet laureate. Caroline Goodwin moved to the Bay Area from Alaska in 1999 to attend Stanford as a Wallace Stegner Fellow in poetry. Her books are “Trapline,” “Peregrine” and “The Paper Tree.” From 2014-’16 she was the first poet laureate of San Mateo County. She teaches at California College of the Arts and Stanford Continuing Studies. Kathleen Winter is the author of two poetry collections, “I will not kick my friends” (2018), winner of the Elixir Poetry Prize, and “Nostalgia for the Criminal Past,” which won the 2013 Texas Institute of Letters Bob Bush Memorial Award. Her poems have appeared in The New Republic, New Statesman, Agni, Cincinnati Review, Tin House, Prairie Schooner, Yale Review, Field, Poetry Daily and Poetry London. She was granted fellowships by Sewanee Writers’ Conference, Dora Maar House, James Merrill House, Cill Rialaig Project, and Vermont Studio Center. Her awards include the Poetry Society of America The Writer Magazine/Emily Dickinson Award, and the Ralph Johnston Fellowship at University of Texas’s Dobie Paisano Ranch. Winter reads for 32 Poems and teaches writing at Sonoma State and Napa Valley College. Georgina Marie, a poet from Lake County, was one of three finalists for the 2018-2020 Lake County poet laureate term. She is involved in her literary community as a writer, supporter of writers, organizer and participant of poetry readings and events. She participates in readings in Lake, Napa and Mendocino counties. In 2018, she led her first writing workshop, facilitated a monthly writing circle and created her first poetry chapbook, “Finding the Roots of Water,” an exploration of living in a county devastated by fire, accepting vulnerability, and expressing the emotion of grief and loss.